Located in Illinois, the new Prairie Green at Dixie Crossing, our senior living location in Chicago Heights, offers resort-style living at an affordable rate. 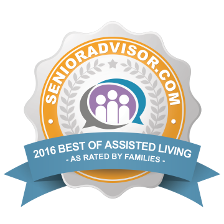 Our Chicago Senior Living community is licensed for Supportive Living, an innovative model designed by the State of Illinois to provide affordable supported living services to seniors 65 and over. Prairie Green at Dixie Crossing allows residents to maintain an active lifestyle with the ease of maintenance-free living, security, wellness programs, medication assistance, and gourmet chef-prepared meals offered three times a day in a beautiful dining room overlooking Bob Leuder Baseball Fields. Our Chicago Heights Assisted Living community has 144 private senior living apartments available with a selection of spacious studio and one-bedroom floor plan arrangements. Each apartment is complete with a kitchenette area including a microwave and refrigerator. Our community is well designed with common area spaces for playing cards or pool with family and friends, reading a favorite novel in our cozy library, or just relaxing in our courtyard on a nice summer day while watching a youth baseball game. Our Supportive Living residents and residents’ families receive valuable peace of mind knowing that we go above and beyond in providing individualized care services. Weekly housekeeping is provided with daily wellbeing checks and personalized service plans to meet individual’s needs. Laundry equipment is provided on each floor and a complimentary weekly service is included in your monthly fee. Our community is staffed 24 hours a day and has a host of security systems from fire prevention to an emergency distress call system. The location of Prairie Green at Dixie Crossing is not only convenient to places like St. James Hospital and the Park District but also First Midwest Bank and CVS Pharmacy. We are across the street from Hap Bruno Field and Bloom High School. Our Chicago Assisted Living community is located at a historic crossroads of Route 1 (Chicago Rd.) and US Route 30 (Lincoln Highway). Explore nearby cities like Park Forest. Executive Director, Bonzetta Williams joined the Prairie Green at Dixie Crossing team in August of 2018; bringing twenty years of healthcare experience to the supportive living community. Bonzetta received her B.S. in Psychology from the University of Illinois and holds a current Illinois Nursing Home Administrator license. Bonzetta has worked as an Administrator for over fifteen years, however, started her healthcare career working in the field of Social Services. She attributes her love for seniors and ability to work with diverse populations to her previous work experiences. Bonzetta says that the opportunity to work more closely with the residents and their families has been the most rewarding aspect of her role as Executive Director at Prairie Green at Dixie Crossing. She values every opportunity to engage with the residents and believes that even the smallest act of kindness can make a significant impact. According to Bonzetta, it is the care, compassion, and respect demonstrated by the staff that makes Prairie Green at Dixie Crossing special. Bonzetta’s goal is to ensure that every resident feels valued, respected and appreciated. She also feels that it’s important for residents to experience an enriched life, full of fun, good food, and friendship. When away from work, Bonzetta enjoys traveling and spending time with her family and friends.